Blanca Gifford remembers the first time she met Carmen (name changed). 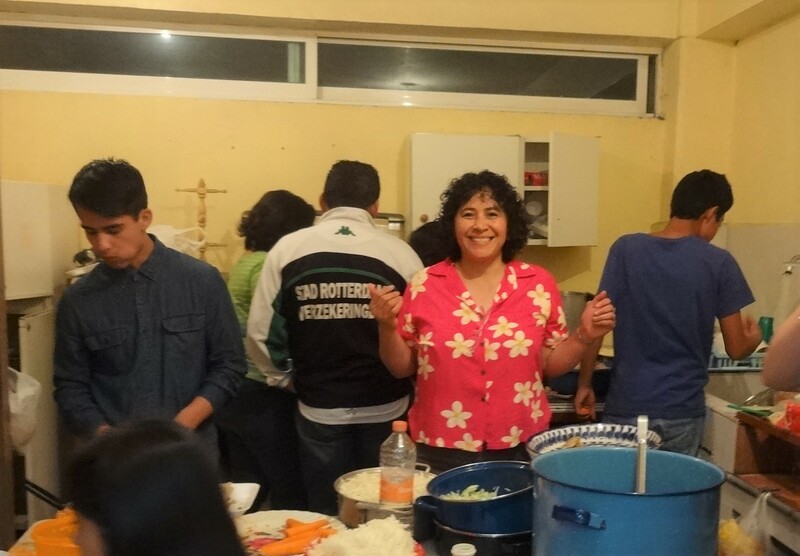 As Carmen grew up, she continued to enjoy the neighborhood kids club—a quick learner who was always asking thoughtful questions about the Bible stories she was hearing and gaining new skills. But more importantly, she was coming to be loved. Then in 2014, Carmen’s life turned upside down. Her father became sick and passed away before she could even visit him in the hospital. What’s more, she also lost her grandmother a month later. It’s been hard for Carmen ever since that time. She often feels confused and upset with God, and at times has fallen into deep depression. Still, Carmen knew that she had someone she could trust. One particularly hard day, Carmen came to Blanca in tears because her best friend was angry with her. A week later, Blanca received a call from Carmen while she was at school—her prayers had been answered. Her friend even began attending kids club a few times! Today Carmen is one of several young people who have technically outgrown the age range for the kids club. Still, she and the others want to keep learning and Blanca has found special opportunities for them to help with the ministry. For Carmen, that’s cooking. Time spent cooking and helping with other tasks gives Blanca the opportunity to continue counseling Carmen on the difficult issues she faces. Blanca also connected with Carmen’s mom, encouraging her to find a counselor for her daughter and consoling her in the loss of her husband as well. Thank you! When Carmen’s father wanted his daughter to experience Christ’s love, you were there for them. Your support and prayers for missionaries and ministries of Resonate make a huge difference in the lives of people like Carmen. Thank you for sending Dave and Blanca Gifford, as well as many others who share Christ’s love around the world.